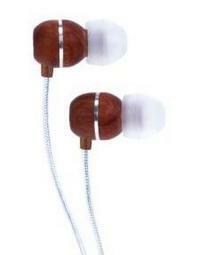 Fancy a pair of eco-friendly earbuds that look super stylish and give you great sound? Well look no further than Hölua,the latest addition to the Skullcandy family. Always an office favourite, their latest pair of ‘phones are an in ear sound isolating device encased within a wooden shell. They’re fashioned with laser cut aluminum accents and have two colour options, a rich mahogany or coco brown. You can also choose between gold or silver coloured cables. I’m not sure how eco-friendly it actually is, as the only information available just rhymes ‘eco-friendly can be trendy’, but the wooden exterior is unusual, and quite attractive. It comes packaged in a wooden box, and has a 1.3 metre cable, with a frequency range of 20-20K Hz.